In the last of our guest blog posts on talent management, Steve Curtis, EMEA Channel Director at NetDimensions talks about performance appraisals and PDPs. 2) possibly the hardest piece of functionality to get right. Consider this – how many times have you seen companies lose their way and quickly lose market share, profits and shareholder value when the wrong person is appointed into a critical position? How many times have you read about the time it has taken to appoint someone else into a critical position, and seen the impact that this delay has had on all the above, and on the other side of the coin, how many times has success of a business been linked directly to the critical talent that is the driving force or forces behind the company. Often this is the CEO or Managing Director of the group, but just as often it is the Chief Financial Officer or the technical boffins in the company that are the financial and the creative brains and therefore just as critical to the performance of the company. Succession Planning is therefore about one major thing – making the right decisions about who inside the company is able to step into the critical positions at the right time. The right time might be an emergency – what happens is the CEO falls ill? What happens if a critical technical person decides to resign to pursue something different? There are many circumstances that will lead to businesses losing people that are fundamentally critical to the business, and in a large company there could be hundreds of critical positions. Critical roles will almost certainly have a large salary and benefits package attached to them, and therefore head-hunter and associated costs will be high. Most head-hunters charge companies based on the value of the employee, and often they will charge the equivalent of between 6 months and 1 full year of the person’s salary that they are recruiting – so if headhunting a new critical person, the immediate impact is likely to be a 6 figure sum disappearing off the bottom line revenue of the company. Large businesses with more than 25,000 people use head-hunters many times in a year, but used correctly, Succession Planning could reduce this significantly by better identifying and preparing worthy successors from inside the business. It has a potentially massive immediate impact on the profitability of the company. Recruiting the right person is likely to take months, and while this happens the business will have issues of various kinds, with the most obvious one being drift – without the business or technical lead in place the business will not perform as it should, and this could have a high cost over the months that the business is lacking it’s leader(s). People who are recruited from outside – even though they might be very skilled – still need time to get up to speed with the way the company operates. This will have a negative impact and the business will struggle while the new head takes time to start to add value. If the company does not promote from within whenever it can, then it can cause deep unrest and dissatisfaction and can often lead to other critical members of the workforce leaving the business. So to summarise on these points – there is a real and valuable business case for the management of succession planning – and therefore it is often seen as the most strategic and valuable part of the Talent Management suite by senior people in the business. Succession Planning is also about doing planning for the 1 year, 2 year, and more replacement of critical talent. Planning worthy successors from inside the business takes time – so if the business starts to look at potential successors for critical senior positions what types of information do they want to have available and therefore analyse? Competencies – if a potential successor is there, how many gaps does he or she have in their competencies when you evaluate their scores on these against the competency requirements for the critical job position? Performance appraisal ratings – What have the recent performance appraisal rating been, and therefore is the potential successor a hi-po (High Performer)? Career expectations – does the person want to make the next move and take on this extra responsibility? Some people for outside reasons may have the skills but may not want the extra burden. This is why Succession Planning and Succession Management has to be one of the last components of Talent Management to be implemented – it is useless without the metrics gained from time spent using the other components. Without this there will be insufficient data to do the analysis and then groom the identified successors. How does a business use Succession Planning to prepare the right individuals? The first and most critical step in Succession Planning is to identify competency gaps and appropriate training that will allow potential successors to close gaps in their competencies relative to their job position. This will allow the business to get the internal workforce ready to take on those critical positions quicker. Communicate opportunities to the people concerned, and make sure that they are comfortable to move up if and when needed. 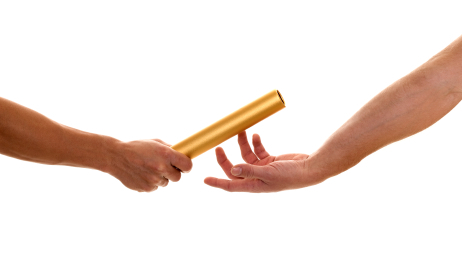 Succession Planning is a vital part of Talent Management and should be a very easy sell to senior people such as the HR Director and the CEO.